My dream succulent garden is full of aloes; from the small rosettes to the branching tree forms. It is difficult to imagine a true succulent garden with aloes, which makes writing this post all the more difficult. I often read posts by people saying which plants they have tried and almost without fail these posts tend turn out to be from people with very mild winters. The choice of aloes for UK is pretty much limited to 3 plants if we are dropping down to our -10C (or even below -7C). 1) Aloe striatula. This is the most interesting hardy aloe for the UK. 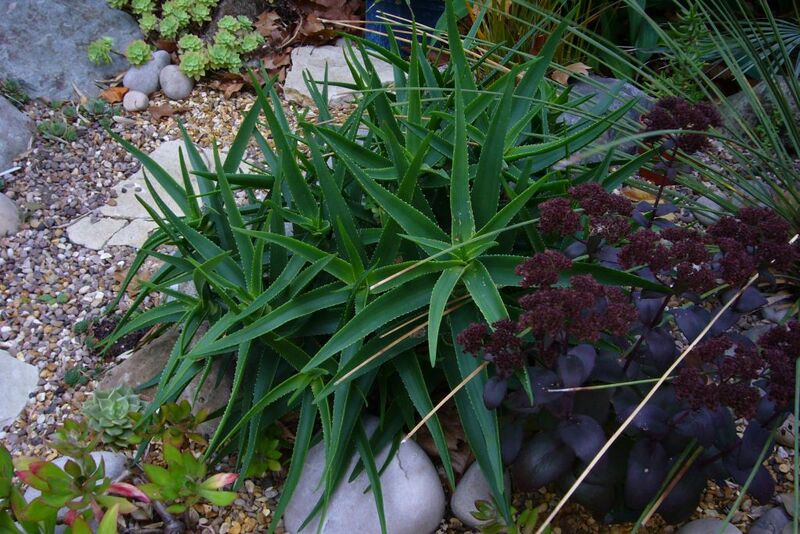 It grows quickly, even in the UK, and the use of tops cuts can not only increase stock, but force it to form a good clump. It is a fairly reliable flowerer, although I have found flowers depend on heat in spring, other wise they either don't appear or are small. A few years back we thought they are relatively bullet proof, sadly the winter of 2010/11 proved otherwise. They are however root hardy even in bad winters and plants seem to come back strongly. 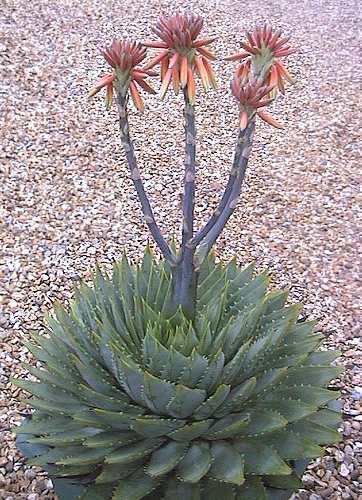 2) Aloe aristrata. By far the hardiest of the aloes, but also one of the less interesting. Most people tend to think of them as alpines not aloes. There are a few different forms, mainly relating to size. I saw a monster form last week and was luck enough to be give an offset to try in my dry bed. They form good clumps and flower every year with problems. 3) Aloe polyphylla. The most interesting almost hardy aloe. Out of the three plants mentioned here, this is my favourite. 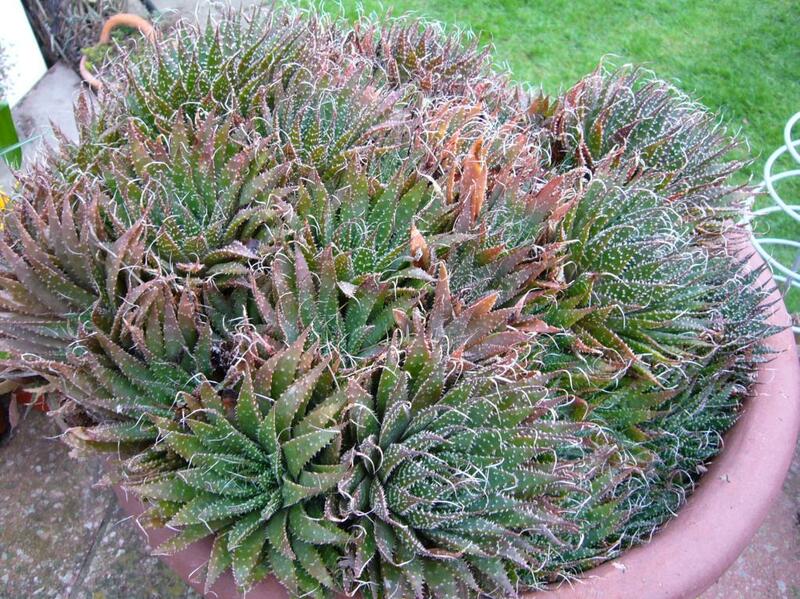 Also known as the spiral aloe, the spirals can either go left or right and it gets to a decent size. The flowers are the most imposing of the three. So why is it not in position 1? The reason is that it is a pain to grow; to much water, too little water, anything in the crown will all cause the plant to fail. 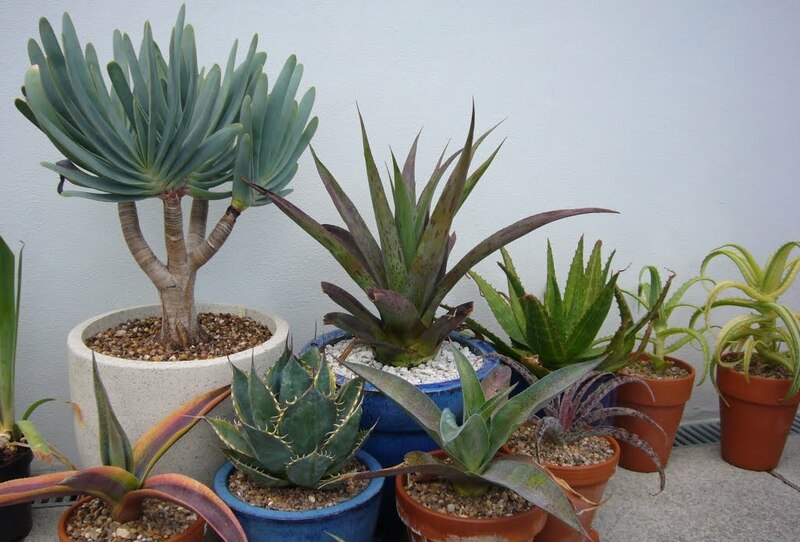 It does require more water than other aloes to grow and even hates drying out for too long in winter. You must keep the crown free of debris if you want this plant to survive, so planting on a slope seems to work best for this plant. All of these factors mean that although the cold is not a real problem having an un-protected plant in the ground can be a challenge. Simple rain shelters seem enough for more mature plants, ensuring that you don't get snow in the crown. Even this may not be enough for these fussy plants, and you can expect to loose some while you figure out the conditions that suit them in your garden, (I lost my first 3 and it became a bit of a personal challenge to grow this one). If you want proof that they flower in the UK, then Clarke Brunt's website is the place to look. That is it I am very sorry to say. There are a few others that people have reported as surviving for them; a. brevifolia, a. saponaria and a. cosmo are the ones I hear about most. None seem reliable and more seem to die than survive. I do have a few that are fine in my cold frame, but given this is about plants in the ground, that is no help. I can't finish without mentioning aloe hercules. There are some suggestions this one may have some cold tolerance, but as yet there are so few in the UK that none have been tested. Most likely it will be years before anyone has one to test outside. But a hardy tree aloe would be the ultimate and you have to have something to dream of. It is also my personal challenge to grow polyphylla successfully, and I've killed 3 or 4 of them so far. The challenge here is dry heat and periods of 5-7% relative humidity. Yes they do not like drying out totally. You need to treat them like you do your roses, and remember to water. Well worth it if you can keep them though. Perhaps YOU could have a go? Go on! I know we need morr hardy aloes. I have an a. striatua x a. aristata, sadly it isn't very good looking and not hardy either. such a shame. Something crossed with polyphylla would be interesting, or with a. Hercules! I have an unidentified (by me) hardy aloe. At least as hardy as either A. aristata or A. striatula. It has flowered every year for the past seven and has never had ofsets, remaining a single basal rosette about 15 - 20 cm across. Happy to post pics but not sure how. Echeveria agavoides ebony: 1, 2, 3. It's all about the spines.